Sunken slab Waterproofing is using in the kitchen, bathrooms or toilets and washing places, where we have our washing machines. 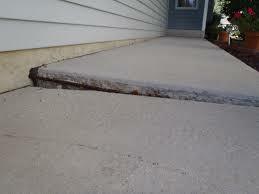 Sunken slabs are cement based waterproofing slabs. It is a modern way of waterproofing treatment to prevent water leakages in the underground pipes. The use of having a sunken slab is to conceal all the pipes below the floor. The pipes that carries water are conceal below the floor, care has to be taken to avoid leakage problem. It is seen that people are not much aware of the idea of Sunken slab Waterproofing before the floor finish is done. This is a very important thing but most people ignore it. For this, proceed as below after ensuring that work of the plumber is complete and over. Sunken slabs Waterproofing are castes around 300mm below the normal floor level in toilets or washroom areas of the building. The sunken portion is using to place utilities and then filling with light weight materials. Sunken slabs Waterproofing act like a modern waterproofing method to prevent leakages. 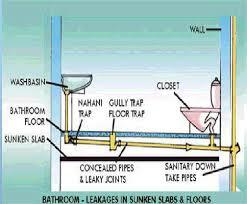 Toilets are the most sensitive part of the structure as far as waterproofing is concerned . Leaking bathrooms and kitchens are always irritating and causes huge inconvenience to our-self and others. Waterproofing Sunken slabs make sure to protect our bathrooms, balcony, kitchen and all other sunken areas from leakages. The various types of Sunken slab Waterproofing treatment for toilet portion are mentioning here. Complete all the block work for the water leaking areas. After completion of block work mark the level pads in the walls. Water Testing for 24 hrs. Fill with water for 48 hrs for testing purpose.